Wilzig Recreational Sporting Course | Resource Systems Group, Inc. 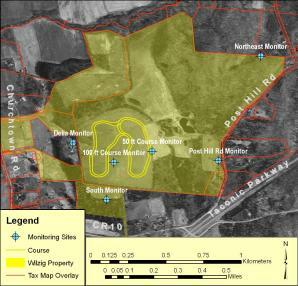 The Wilzig Recreational Sporting Course is one of the largest private paved sporting courses for motorcycles, cars, and go-karts in the U.S. RSG conducted a comprehensive noise analysis of the facility which was required for its zoning permit. 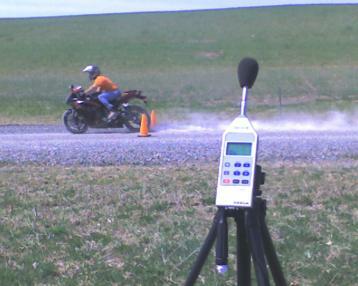 The study involved measurements of motorcycle noise, modeling of the sound as it propagates off the property, design of mitigation, and installation of a continuous sound monitoring system. 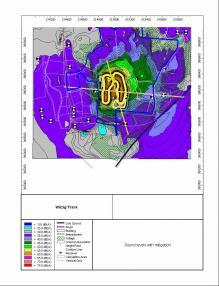 RSG conducted both short-term monitoring prior to the paving of the course to determine sound power by speed of various vehicles in Mr. Wilzig’s collection, and long-term monitoring at various property line locations. The recommended mitigation included the installation of embankments (berms) at strategic locations along the course, and the use of only “road legal” mufflers on all vehicles using the course. With these mitigation measures, the project was found to meet the New York State Department of Environmental Conservation’s policy guidance limiting source noise to no more than 6 dB above background and 65 dBA overall.